It appears now that Microsoft Windows devices aren’t the only gadgets susceptible to the dreaded “Blue Screen of Death” crashes – many Apple iPhone 5S users are reporting similar blue screen crashes on their devices over the past several weeks. Users have been complaining on Twitter, YouTube, and on Apple user forums about the glitch, which seems to happen mostly when they are dealing with apps in the iWork suite. 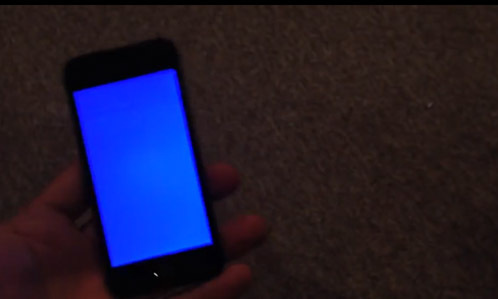 Phones that crash switch to a blank blue screen for several seconds before rebooting. Other than the inconvenience of the phone reset, the crash does not seem to damage any data, or adversely affect the phone after it restarts. Apple has not formally addressed these crash concerns yet, but the user community seems to believe that they can be avoided by disabling iCloud syncing for the Pages, Keynote, and Numbers applications. Arnold has experienced about a half-dozen blue screen crashes over the past week with his phone.